We aim to reply to your orders or queries within 48 hours and it is usually within 24 hours. We are happy to sell to anywhere in the world but International customers must have the ability to pay by Paypal - see our terms on the order form. We hope you find our service useful, as many slot car enthusiasts worldwide have done. Available now are our set of 4 alloy 10" wheels with Minilite inserts and custom made tyres. 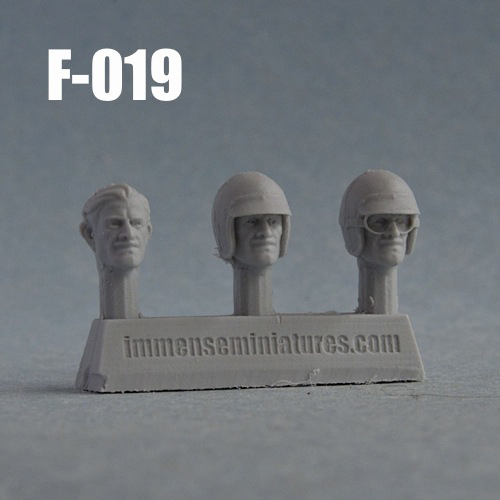 These will look great on Mini's! Current projects are reworking our tyre range for the narrow 19" wheels. We will have 3 sizes of road tyre in both medium and firm rubber. The previous tyres have now been deleted as I wasn't happy with them. 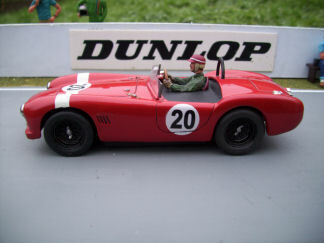 I'm also working on a Le Mans version of the Lotus Elite - decals are made and the master is done. Casting will be under way soon. Also in the pipeline is the Howmet TX in four different liveries. The two Le Mans cars, the Sebring 12hr and the Daytona cars. Decals for these are done and bodies are being cast now. 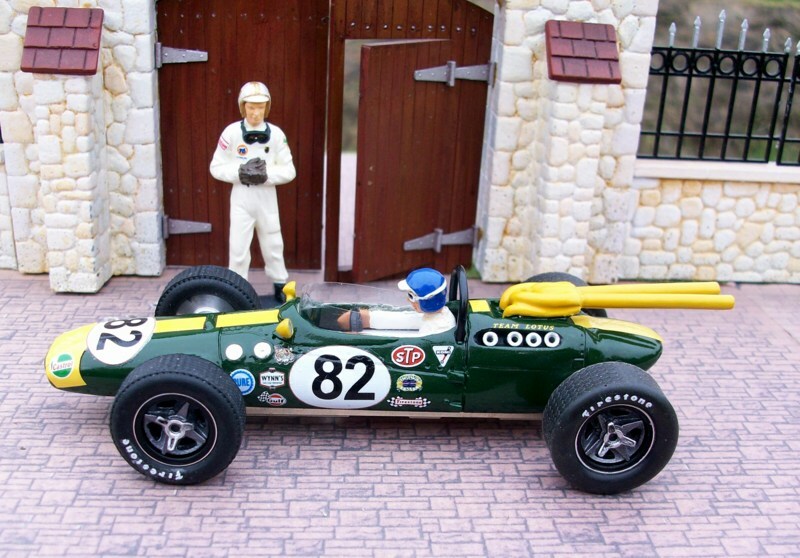 Finally, and hopefully in time for Gaydon, will be our release of our latest body kit - the Lotus 47 "Gold Leaf" car of Jack Oliver and John Miles raced at the 1968 BOAC 500 at Brands Hatch. OUR FIRST BODY KIT HAS BEEN A HIT AND ALL THE FIRST BATCH HAS COMPLETELY SOLD OUT! 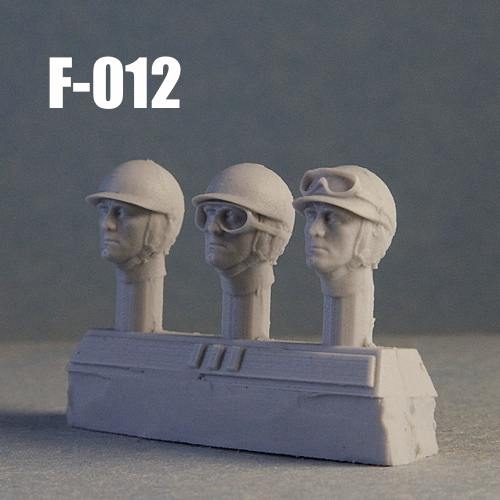 More of the AC Ace kits are being produced along with a Competition/Race version. Plus our Lotus Elite kit now has photo etch window frames added and the Austin 7 Ulster kit has an improved chassis. All currently available kits will be listed on the site in the next few weeks. Meanwhile feast your eyes on this beauty! our AC Ace kit built by Dave Wisdom. OUR NARROW 19" WIRE WHEEL KITS ARE AVAILABLE IN ALL 3 SPOKE SIZES. 36, 48 & 60 SPOKES. These are available in sets of 4 ONLY, with or without hand made tyres. 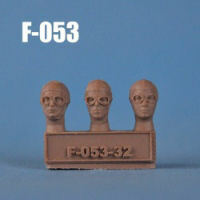 FULL RANGE NOW IN STOCK - IMMENSE MINIATURES DRIVERS HEADS, FIGURES and TORSO'S. Here's a few examples of the fantastic quality. For the full range click here and scroll down. POSSIBLY THE CHEAPEST IN THE UK!!!!!! We still keep some of the range from Mitoos Slot Racing Lab in Spain. All the tyres are rubber and all the wheels are lightweight alloy. Wire wheels are superb photo etched wires fitted with a two ear spinner. STOCKS ARE NOW RUNNING LOW - ONCE THEY'RE GONE, THEY'RE GONE!! BOTH CHASSIS COME WITH FULL INSTRUCTION SHEET. EASY TO BUILD. R.S.001 TAKES STANDARD MABUCHI S CAN - DESIGNED FOR SPORTS/GT or LARGE SALOON. COMPLETE WITH OPTIONAL FLOATING SIDE PANS (shown). R.S.001 CHASSIS, RSW002 WHEELS, RS1306 INSERTS. HAND CAST INSERTS ARE A GREAT WAY TO FINISH OFF ANY SCRATCHBUILD OR RESTORATION PROJECT. AT £3.50 A SET OF 4 THEY ARE ALSO FANTASTIC VALUE!! JUST A FEW EXAMPLES OF HOW GOOD THE INSERTS LOOK WHEN PAINTED. We are the U.K. importer for "ORTMANN" TYRES. 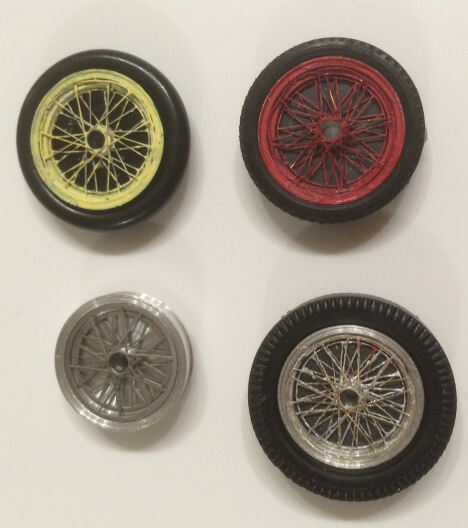 Hand made in Germany, by Michael Ortmann, these tyres offer superb levels of grip for racing, not only for modern slot cars, but also for putting life back into your collectable historic cars. 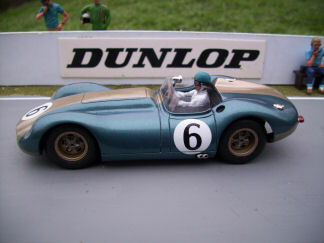 Complete listing of model kits suitable for conversion to slot cars, plus our current selection of new and secondhand "collectable" slot cars for sale. 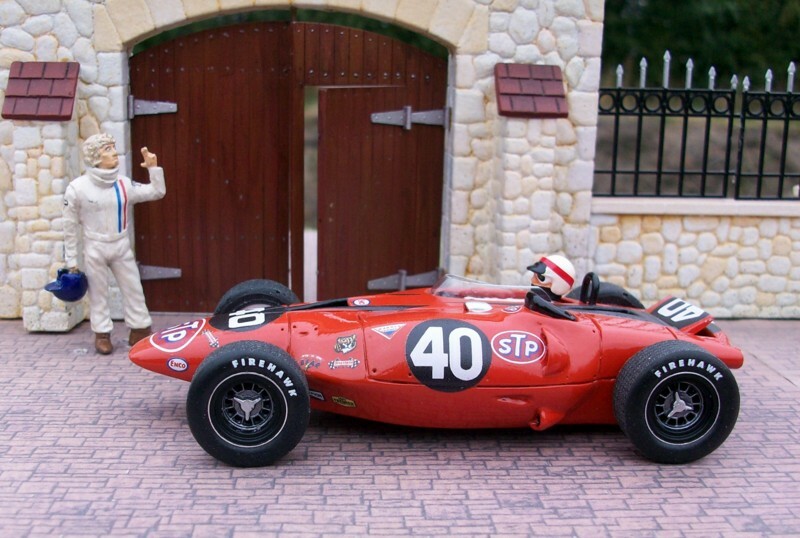 We always try to keep a selection of 1/32nd & 1/24th cars from a variety of manufacturers. 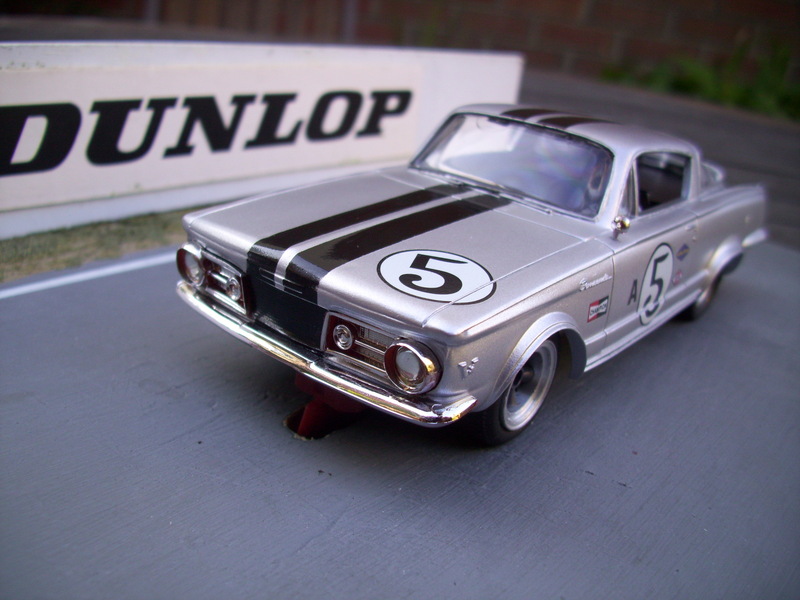 We often have slot cars from the early '60s right up to present day. 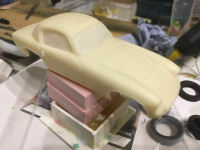 Complete listing of all our parts & accessories for the slot car builder and restorer, as well as parts for racing purposes. RS Alloy Wheels and Inserts. PCS chassis kits. 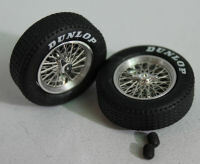 Last remaining stock of alloy wheels for 1/24. 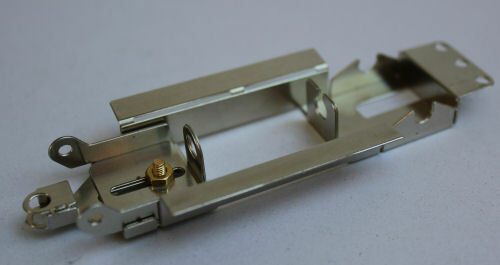 Small range of Slot - It Spares. 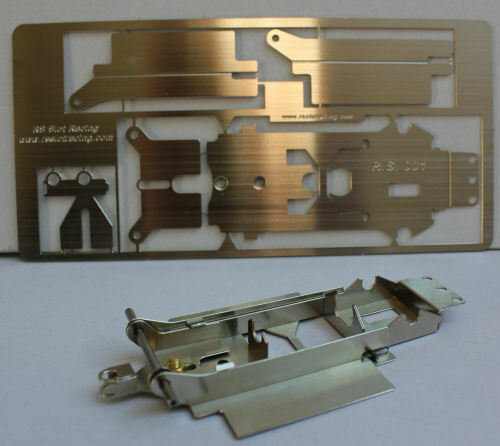 We are now stocking a selection of BTS reproduction parts. 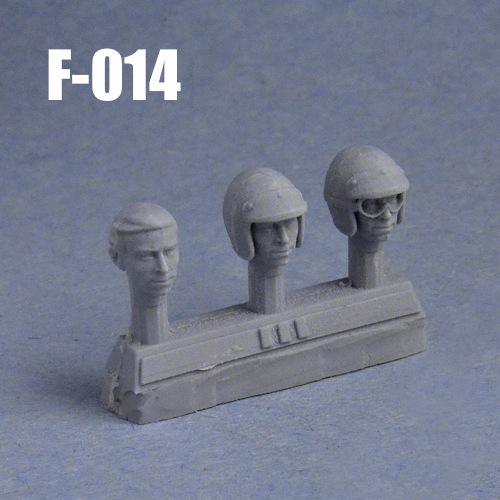 Mainly wheel inserts for Monogram and Revell, but also some other repro parts. See the BTS listing on this section. At last, all of our decal range is listed, with prices. 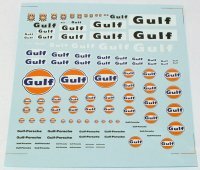 Replicas of Cox, Monogram and plenty of special decal sheets only available from R/S Slot Racing. We attend Milton Keynes and Orpington swapmeets along with a variety of race meetings. Please click on the "Diary" button to view our attendances. Take a look at some of our customers stunning models. All using Ortmann tyres.